Mars (Planet of physical energy/motivation and sexuality) will be in your 1st House for the first 7 plus months of 2014. It enters Scorpio, your 2nd House on July 25. With Mars in your sign, you become fearless, take the initiative and attempt to streamline all relationships (for better or for worse) You will enjoy the transit of Mars in your 1st House as it gives you the ability to be forceful, direct and forthcoming when touring in your 1st House of physical appearance. Your physical energy peaks, vitality returns and your mind will be detail oriented and practical. You express yourself well while Mars moves direct in sign, Libra. Mars turns retrograde on 3/1 - 5/19. You could notice that during this time, key relationships and your own hopes and wishes might slow down, stall or seem to move at the slowest pace ever. You could feel challenged and tested beyond your wildest imagination. Your physical energy could slow down or you not have the motivation or wherewithal to complete projects. During this time, it is advisable to not make any drastic changes, personally or otherwise. Get plenty of rest and let relationships develop at their own pace when Mars retrogrades in your 1st House (3/1/-5/19). A lunar eclipse occurs in your sign on 4/15. Expect to encounter some relationship turbulence during this eclipse. You can feel divided when it comes to your daily routines, in conflict with others, especially with close partners throughout this fast paced month (April). Streamline your life one step at a time when navigating any sudden or drastic personal developments. During this time, you could tend to judge others or be judged yourself by your own past actions. Good news, Libra? You will learn exactly where you stand in connection with a love relationship on this date. Saturn (Structures/pressure) begins the year in Scorpio, (Your 2nd House of possessions, earnings and those people and places you put a high value on.) While Saturn tours your 2nd House of earning potential) you must be willing to walk that extra step or at the very least, put in overtime where your finances and personal possessions are involved. With Saturn, you become reminded of your efforts from the past, especially considering the way you have handled your finances, dealt with money and treated others. If you have taken the easy way out (not put in effort or avoided hard work), you will be reminded and get a wake up call to remember where your own personal possessions and your finances are involved. Under the influence of Saturn, your attitudes about money and your possessions are bound to undergo a series of changes. Under this sobering Saturn cycle, you learn lessons about yourself and how you deal with possessions, cash and how you earn income. Jupiter (luck, expansion and good fortune) begins the year in Cancer, your 10th House of prestige, profession and your public reputation) Expect these areas to favor you and bring you a deep sense of satisfaction. Prosperous Jupiter enters Leo, your 11th House of friendships, your deepest hopes/wishes and ex lovers on 7/16. During the first seven months of 2014, you experience expansion and good fortune in career matters. It all depends on what you desire, yearn for and most importantly, what you hope to achieve. 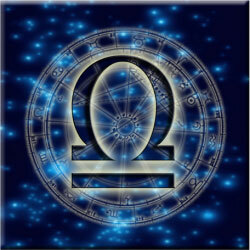 Your biggest luck comes from this lucky planet that will tour through your 10th and 11th Houses in 2014, Libra. Once Jupiter enters Leo, you experience prosperity via friendships, through groups to which you affiliate and where your hopes and wishes are involved. Venus (Your ruling planet - love, beauty, harmony and music) begins 2014 in Capricorn, your 4th House of home, motherhood, the past and your current residence. With Venus retrograde in January, you might find your home life to be not so great or challenging in some regard. Your mother, your home life and residence are illuminated in some way throughout the beginning of January and February. Your ideal times for love in 2014 occur whenever the planet Venus transits an air sign element. For you that would be when Venus occupies Gemini (6/23 - 7/18), Libra (10/1 - 10/22) and Aquarius (3/5 -4/5). During these dates, you're feeling upbeat, less stressed and notice others will be more drawn to you. These are great times/periods for single or coupled Libras. Couples can expect to get closer or make a serious commitment that is bound to last. Singles could meet a potential new love during these dates. For you, Libra. It's a #5 personal year. The signs of Gemini, Virgo, Sagittarius and a Pisces will be seriously involved. A Gemini will be a friend you can count on while a Virgo could be a family member, close friend or someone living at a distance. A Sagittarius and a Pisces will hold a special place in your heart this year. It's a year of adventure, diversity and big change. Embrace the inevitable and know that you're beyond capable of overcoming any obstacle you thought was insurmountable.